Sydney: Australia on Monday said a “sophisticated state actor” had hacked the country’s main political parties and parliament, just weeks before a closely fought election. Prime Minister Scott Morrison told lawmakers that investigators looking into a hack of parliament computer systems revealed two weeks ago “also became aware that the networks of some political parties” had been breached. “Our cyber experts believe that a sophisticated state actor is responsible for this malicious activity,” he said. Earlier this month, Australia reported a “security incident on the parliamentary computing network”. That forced users — including the prime minister and the cabinet — to change passwords and take other security measures. “I think it’s definitely too early to say,” said Fergus Hanson, a cybersecurity expert at the Australian Strategic Policy Institute. He added, however, that there were only “one or two actors” capable of carrying out such an attack. Hanson said he would put China “at the top” of the list of possible suspects, but “wouldn’t rule out” Russia’s involvement. Relations have recently been frayed over Australia’s decision to ban Huawei from the country’s 5G network amid national security concerns and the expulsion of Huang Xian, a connected billionaire who doled out millions in Australian political donations. Beijing’s spies are accused of targeting Taiwanese officials before the election there last year. Dozens of Russians have been indicted for trying to tilt the 2016 US presidential election, and alleged Russian involvement in Britain’s referendum on leaving the European Union in the same year has been well documented. Moscow has denied the accusations. As part of the Five Eyes intelligence network — which also includes Britain, Canada, New Zealand and the United States — Australia is a particularly rich target for foreign interests. “Our political institutions represent high-value targets. But we have resilient systems in place to detect compromises and remediate them,” said Alastair MacGibbon, head of the Australian Cyber Security Centre. MacGibbon said the hackers were sophisticated enough to get into the network, but “not sophisticated enough to remain undetected”. 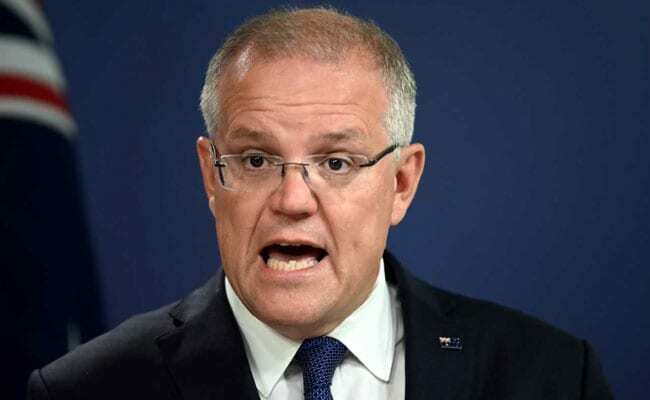 Morrison insisted, however, “there is no evidence of any electoral interference”.